When you’ve tried every pencil, powder, stencil, and gel without achieving the brows that you want, Lash Envy Studios offers Microblading, Microshading (Ombre Brows), and a Combination of Microblading and Shading. Microblading is a procedure that can fully reconstruct, define, cover gaps, or fill in over-plucked brows. Those who want a slight change to their arch are also great candidates. The results of a microblading treatment are natural-looking, fuller eyebrows that last anywhere from eight to 12 months. 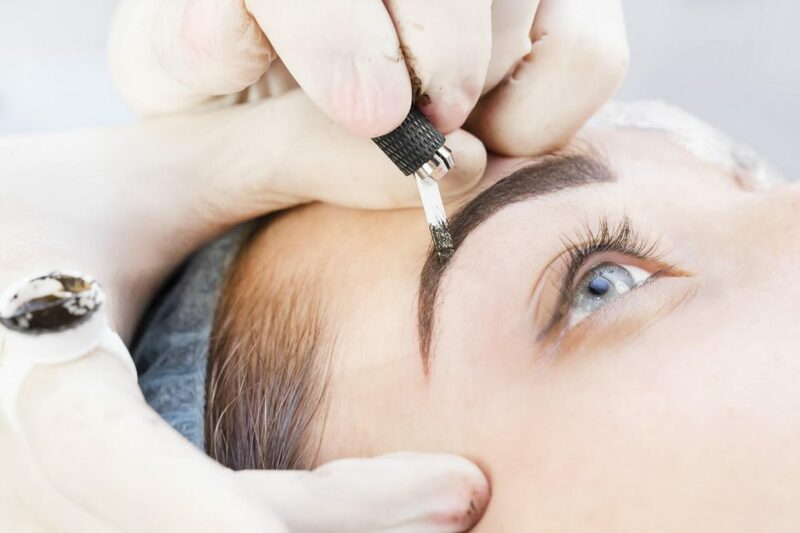 Microblading is a form of tattoo artistry where semi-permanent pigment is manually deposited under the top layer of skin with a special pen instead of a machine. 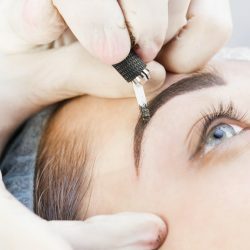 The microblading technique involves drawing individual crisp hair strokes that are more natural looking and dimensional than the traditional permanent makeup block of color. Microshading creates a shadow effect with tiny dots of pigment, instead of fine hairs like the microblading treatment. Microshading gives your brows a soft-shaded brow pencil look. In addition to the microshading treatment, you can also add a powder ombre, which gives a light to dark effect, the tails of the brow are darker and fades as you move towards the front of the brow. Whether you are looking for a light soft shading or show-stopping bold brows, it can be customized according to your desired look. Combination Brows is a technique that uses the stroking method to create “little hairs” but also uses a shading technique for more density. This look will still appear natural, but it will be darker and fuller. Since microblading alone will not give you the “makeup look,” implementing a shading technique along with it will deliver a look that is the best of both worlds. The microblading and microshading services consists of two appointments. The initial appointment takes approximately two hours. The longest part is the mapping and measuring of the eyebrows. This ensures that the brow we design is customized to your features. A second appointment is needed within four to six weeks to touch-up color once the brows have healed. Please plan to arrive to the studio 10 minutes prior to your appointment to facilitate our check-in process. Timing — A typical microblading appointment lasts two hours depending on your actual brow shape. A touch-up appointment usually lasts from 30 minutes to one and a half hours depending on the amount of work that needs to be done. Consultation — Our microblading artist will ask you questions regarding your medical history, style, what kind of makeup you wear, and your expectations. From there, the artist will customize a brow design to compliment your features and desired outcome. 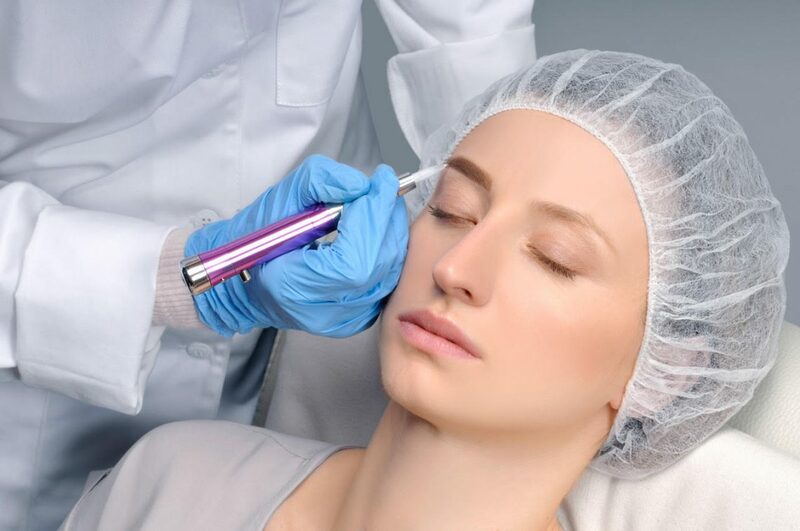 Numbing — We will apply a numbing cream on the area being treated 30 minutes prior to the treatment. This will make the process more comfortable for you. Design — Next the artist will draw the eyebrows directly onto your skin using a special waterproof pencil. This will guide the artist in creating the desired look and allows the client to see the final look before the actual color is applied. Avoid working out the day of your appointment, as the body will heat and expand the pores. Avoid direct exposure to sunlight for at least two weeks prior to the procedure. Avoid caffeine on the day of the appointment. Avoid alcohol for at least 24 to 48 hours prior to the procedure. 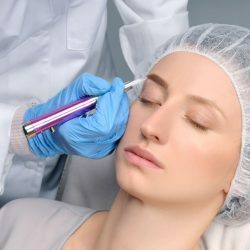 Avoid the following treatments within four weeks of the procedure: Fillers, BOTOX®, Chemical Peels, and laser treatments.